Recently, Maayan and I have been doing a lot of quality time snuggling & cuddling. With happy and loving eyes says to me, “Let’s snuggle.” How can a father say no? Prior to going to sleep, in the afternoon or even when just waking up are all fantastic opportunities for snuggling. I told Maayan that she’s getting really good at snuggling. She said, “yeah“. Snuggling is a very important activity for toddlers. It consists of hanging out, cuddling up, relaxing and enjoying your family. Snuggling can be done at anytime of the day. Many people worry that they don’t have enough time in the day or that they should wait until they’re on vacation. That myth can be laid to rest my friends, because toddlers have proven time and again that snuggling and cuddling can be done at anytime of the day or week. All it takes is a few minutes. Another misconception about snuggling is that you have to be a professional. I’ve often heard from adults who say that they don’t invest in snuggling because they’re not good at it or that it should be left for the professionals. Someone even said that snuggling is only for toddlers and cannot be done by adults. Once again, that is only a myth and is not based on any real evidence. In fact, all of the toddler’s research show that you don’t have to be a professional to snuggle. Anyone can do it. No matter what your level or age, you can snuggle and you will reap major benefits. The proven method for most effectiveness is to just lie down next to your toddler or someone you love. Turn off all cell phones, computers and TV’s. Smile, relax and enjoy. Life lesson of a toddler # 29: Cuddle up & Snuggle with someone you love today. It’s not easy to get up in the morning. Hey, we’re just waking up, feeling heavy, a little dizzy, wanting another five minute of blissful sleep, where’s the coffee already! This is all a daily occurrence for people – unless you’re a toddler. 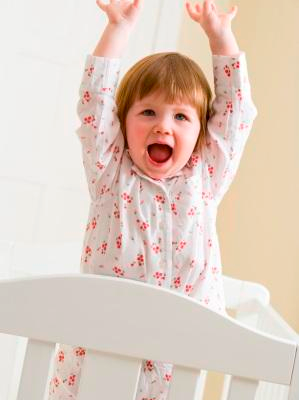 There are a number of very inspiring ways how toddlers wake up. First of all (as long as they go to bed on time and sleep through the night) they wake up happy. Every morning, my wonderful daughters are just happy. Our 18 month old Yarden gives an initial cry, but that’s just to get out of the crib. Once out, it’s go time. And they’re all smiles. This morning Yarden woke up earlier than usual, about an hour before Maayan around 6am. As soon as I picked Yarden up she smiled, looked at her sister and said, “Maya!”. That’s right, we’re happy to be up and we’re sharing the joy. Maayan has also developed a little routine. Since the fall (when it’s still dark out at 7am in Halifax), she waits for the sky to turn colors. She wakes up by herself, turns on the lights in her room, puts her head back on the pillow and watches the colors change. “Look, it’s changing colors”, she says. As soon as it’s bright enough, she gets up and says, “It’s day time now”. Happy. Relaxed. Enjoying the beautiful sky. Soaking it in. Saying hi to anyone in the room. This is how a toddler begins their day. Adults have a thing or two to learn from toddlers. Too many adults wake up like the world is on fire. Rush out of bed, throw down the caffeine, worry about work. I think too many adults wake up like chickens with their heads cut off, while toddlers seem to be gracious little Queens of an empire. While it’s true that thank God many adults wake up early, exercise, take time to themselves before they give it to others, we’re waiting for it to go viral. It is so crucial to begin one’s day happy and relaxed, giving some serious quality time to yourself. Imagine how different everyone’s day would be if they began it by waking up a little earlier (which also means going to sleep earlier), going for a walk outside, focusing on the amazing blessings of our lives, thinking about our goals, our dreams and how we can make it happen today. Instead of waking up in a craze and daze, let’s wake up early with joy & gratitude. A colorful sky can do wonders to a person who loses themselves in the grandeur and the beauty. Soaking the blessings in. With that, we’ll be living a totally inspired and amazing life because we’ll be living like a toddler. Life lesson of a toddler #26: Go to bed early & wake up early. Wake up with joy & gratitude. Go outside and appreciate the brilliant & colorful sky in the morning. While we were sitting down at the table, Maayan says to me, “Let’s make silly faces.” Great idea! Maayan did the first one and then asked me to. It was pretty funny, we were both cracking up. In all honesty, I have had some real life experience making silly faces. 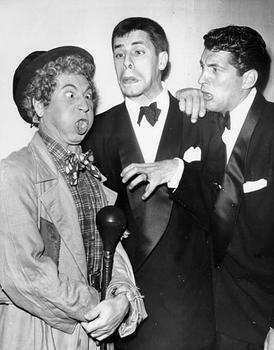 Back in the day I remember seeing a picture of Harpo Marx, Jerry Lewis and Dean Martin as Harpo made a hilarious face. His cheeks puffed, eyes crossed and tongue out made for a very inspiring face. As I did my best to live up to the great ones, Maayan laughed along with sheer enjoyment. Silly faces are a fantastic way of opening up. Whether a person is in too serious of a mood, worried about the latest news or just in need of a good laugh – silly faces are the perfect antidote. They come highly recommended by toddlers. Life lesson of a toddler #19: Make silly faces often. It is guaranteed to bring joy to your life!